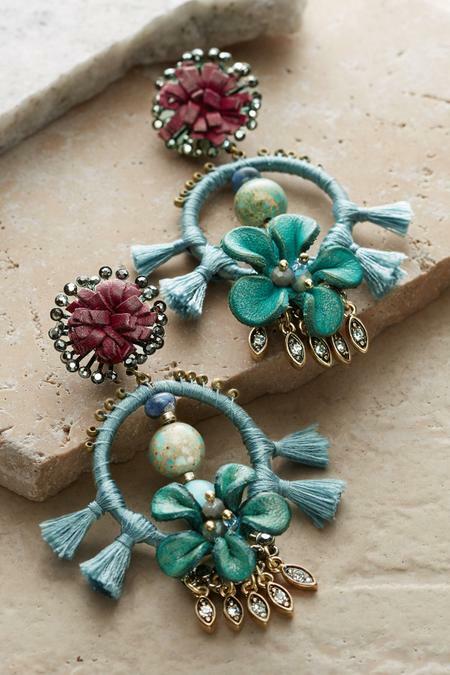 Textures blend with imagination in these ornate earrings, creatively composed of roses against stamped glass-stone starbursts, thread-wrapped tasseled rings, turquoise, glass and matte seed beads, and hand-cut leather flowers dotted with seed beads. They'll make an impact worn with the 1BD16 Floral Cascade Pendant Necklace. No two are alike.